DaySpring offers adults a chance to feel transformed by taking in the natural beauty of our secluded acres, experiencing the recreational activites, and coming together as a community. Adult guests come to relax and reflect, feeling renewed. 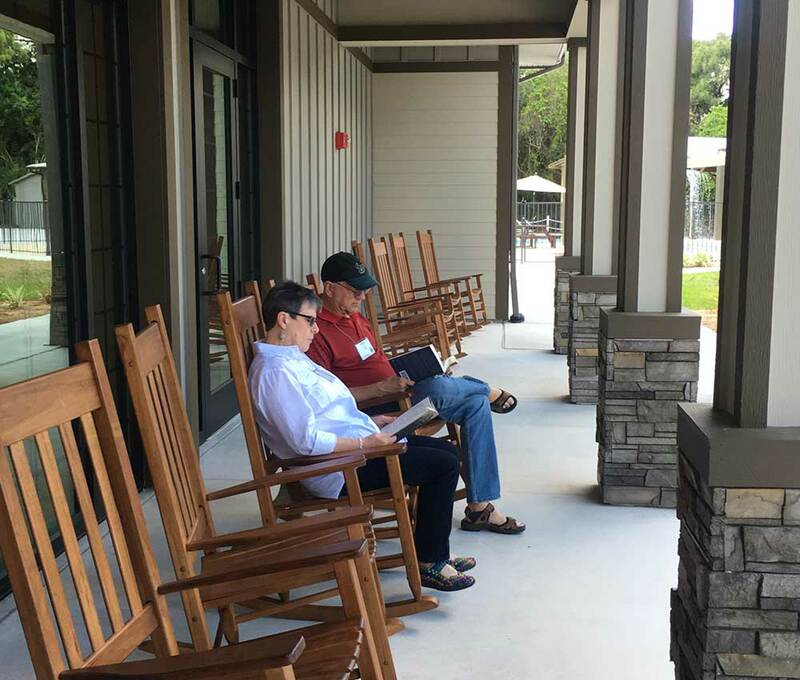 DaySpring offers an array of amenities, including state-of-the-art conference facilities, ropes courses, woodland trails, pool, dining, and even a zip line. 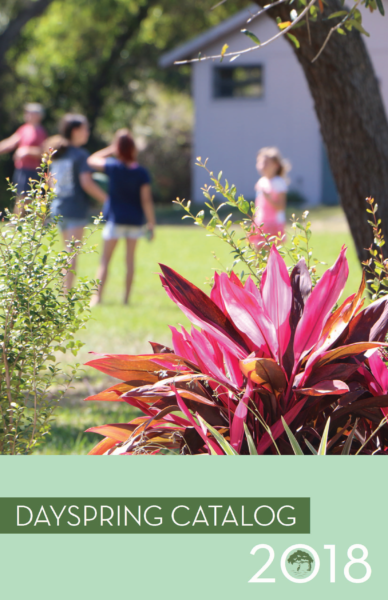 Come spend time together and experience DaySpring’s Adult Programs in a natural setting that reflects the best of old Florida beauty in a peaceful, pristine setting. DaySpring is offers different opportunities for adults to reimagine, reconnect and rejoice in a faith based setting. Our campus includes a resort-style pool, the historic St. Thomas chapel, banquet-style meals in Curry Hall and classic camp facilities. DaySpring is unique in that we not only host our own events, camps and training, but also offer up all of those amenities to the wider community. 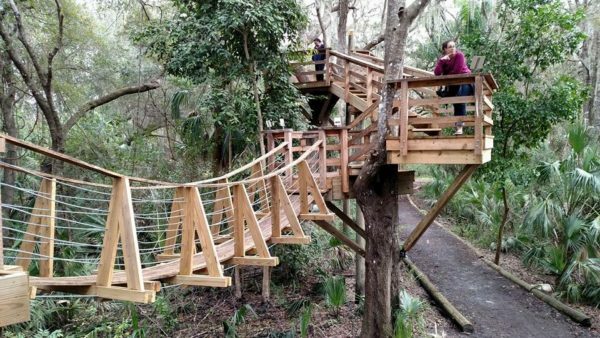 Walk among the treetops with our woodland Canopy Walk. It contains a short aerial bridge easily accessible via stairway. Those who are planning an event at DaySpring can enjoy our simplified pricing, as meals are included in the price of your overnight stays. 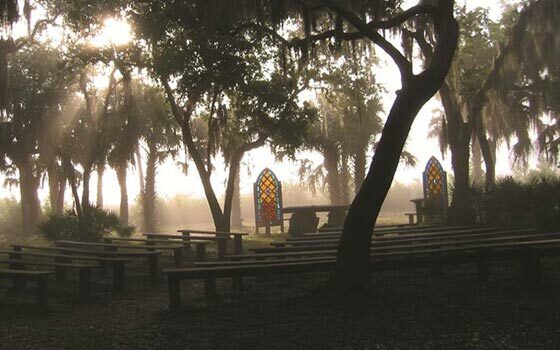 DaySpring Conference Center offers a unique mix of natural beauty, top-rate facilities, all in an unparalleled rural setting within easy driving distance of Tampa/St. Petersburg, Naples and Orlando.